Glenn Graham grew up in a flying family and first solo’d an aircraft on his 16 birthday. Within the next 12 months he had acquired his aerobatic endorsement and had won his first aerobatic competition. 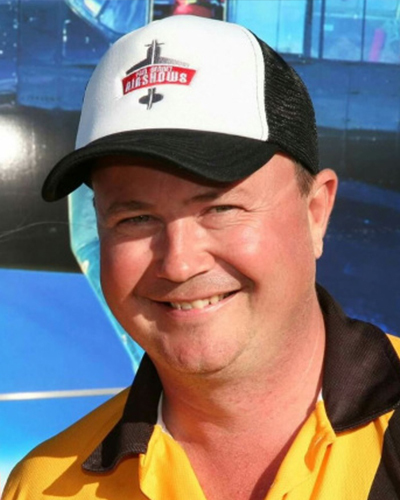 Since 2006 Glenn has had his flying skills mentored by Paul Bennet and since then has been become a two time Australian Advanced Aerobatic Champion. Glenn continues to enjoy the challenges of unlimited and freestyle aerobatics and works full time for Paul Bennet Airshows as Operational Manager and Airshow Pilot. Glenn has a surface level waiver and displays as part of the SkyAces Formation Aerobatic Team along with flying solo displays in the Yak 52 and Rebel 300. Pete (AKA Smiley) started flying 1988 and is a Twin rated Commercial Pilot that loves all things aviation…. especially warbirds. Pete enjoys the Paul Bennet Airshow team environment and assists the team as head of ground crew and helps ferry the aircraft from show to show. Pete will have you smiling from ear to ear through every loop and roll! Ben started competing in aerobatic competitions at age 16, first flying a Decathlon then later flying his father’s Pitts S1C which he won the NSW Championships in 2008 flying sportsman category and the Australian National Aerobatic Championships in 2009 flying the intermediate category. 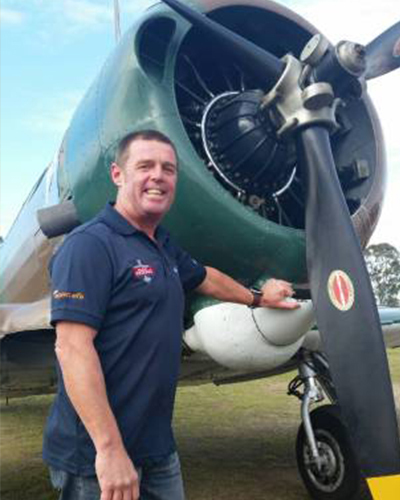 Ben is also one of the youngest warbird pilots in Australia, trusted with the keys to the mighty Grumman Avenger, T28 Trojan and the CAC Wirraway. Starting his flying career at an early age, Chris had attained his Commercial Pilots License and was conducting Tiger Moth joyflights at the age of just 18. Chris joined the Paul Bennet Airshows team in 2012, and took the opportunity to immerse himself in his passion for both aerobatics and warbirds.